Possibily you have to give some advice or missing piece of information to somebody which is very much familiar to you. Maybe family. Take a little time to analyse the situation good. P6 isn’t always about money. P6 also stands for sharing skills or information and knownledge. This is a day card for someone in certain circumstances that allows this interpretation. Sometimes tarot readings are done according to the (standard) knowledge which you gained along the way and experience. 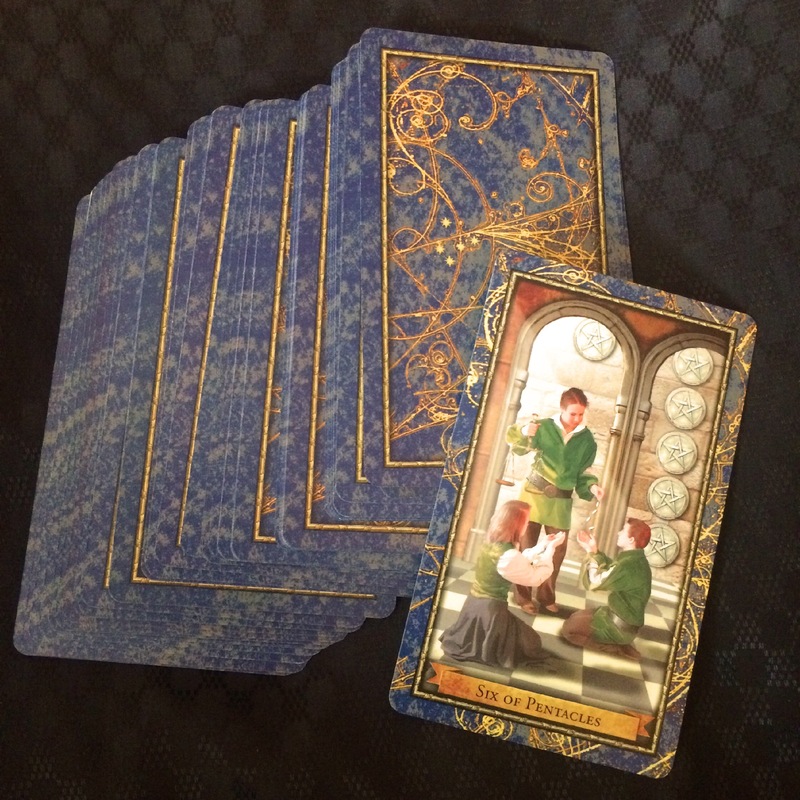 Sometimes it is totally on intuition, but it can also be used along with psychic abilities; in this case I used all of these possibilities to read the cards. Aside that these type of cards (the Wizards Tarot) show images in which you can dig further in your fantasy (or intuition if you will). Because of another energy present in these type of cards than the standard Rider Waite deck.